Ships today if you order in the next 11 hours 38 minutes. 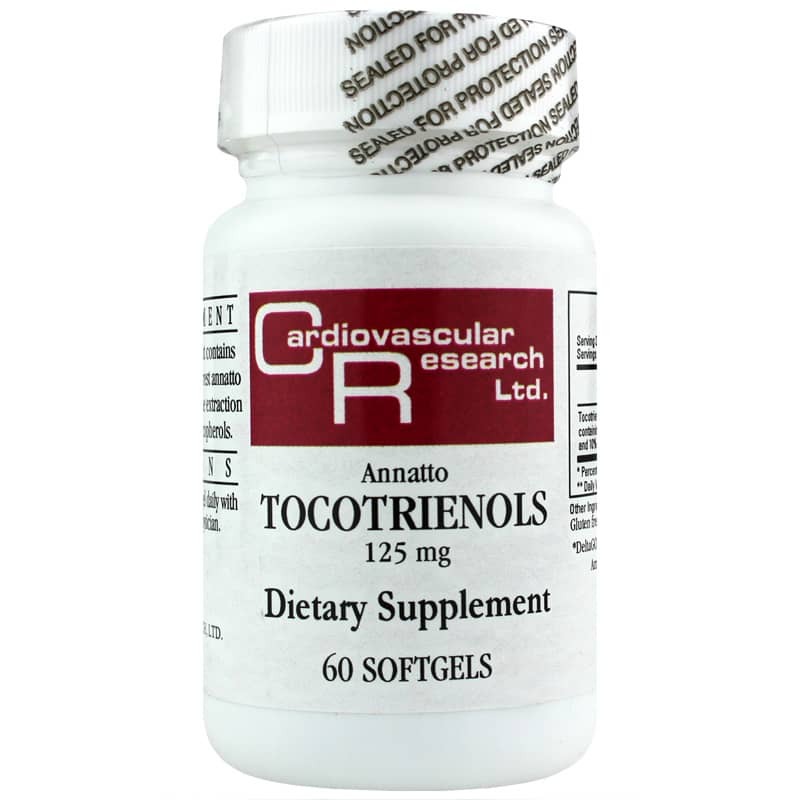 Annatto Tocotrienols 125mg from Cardiovascular Research is a dietary supplement that contains bioavailable tocotrienols from the extracts of pure rainforest annatto plants, using a solvent-free extraction method. This often overlooked form of vitamin E has been found to promote the support of arteries, maintain homocysteine levels already in the normal range, and support the function of the brain, bones and cells. Vitamin E, from which tocotrienols are derived, is composed of eight different compounds, half of which are the most common tocopherols, and the other compounds are known as tocotrienols. 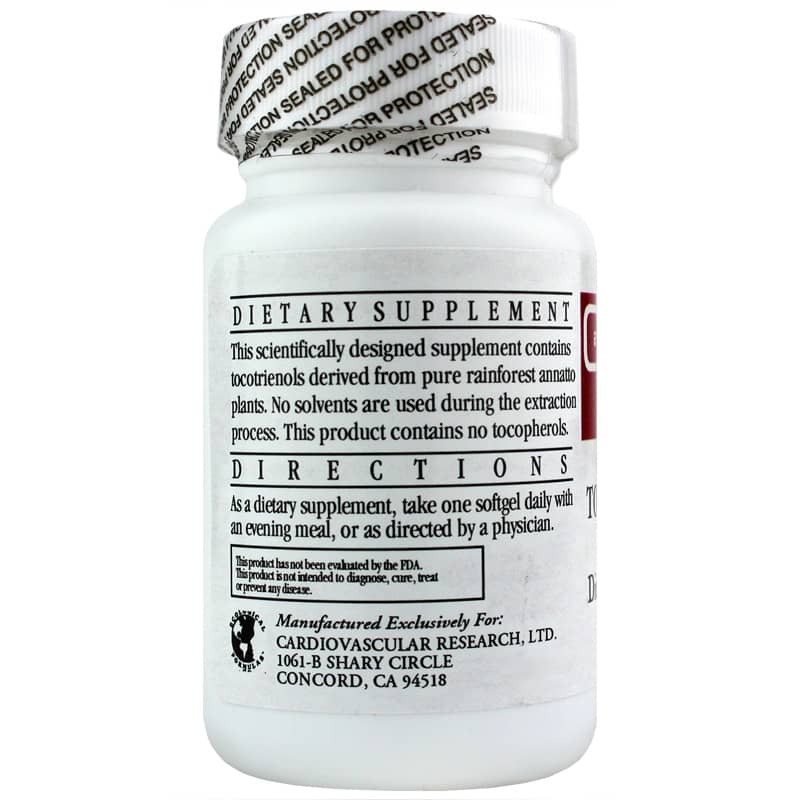 This supplement contains 90% delta-tocotrienols and 10% gamma-tocotrienols for potential natural health benefits, including brain health support. Annatto is derived from the achiote tree, which is indigenous to rainforests in Latin and South America. It is often used by indigenous people as a dye, which can range in color from bright yellow to deep orange, as well as an ingredient in Latin foods and herbal practices. If you need brain health support in the form of a vitamin E dietary supplement, order Annatto Tocotrienols 125mg from Cardiovascular Research here. Experience the difference it may make to your health! DeltaGold is a registered trademark of American River Nutrition, Inc. 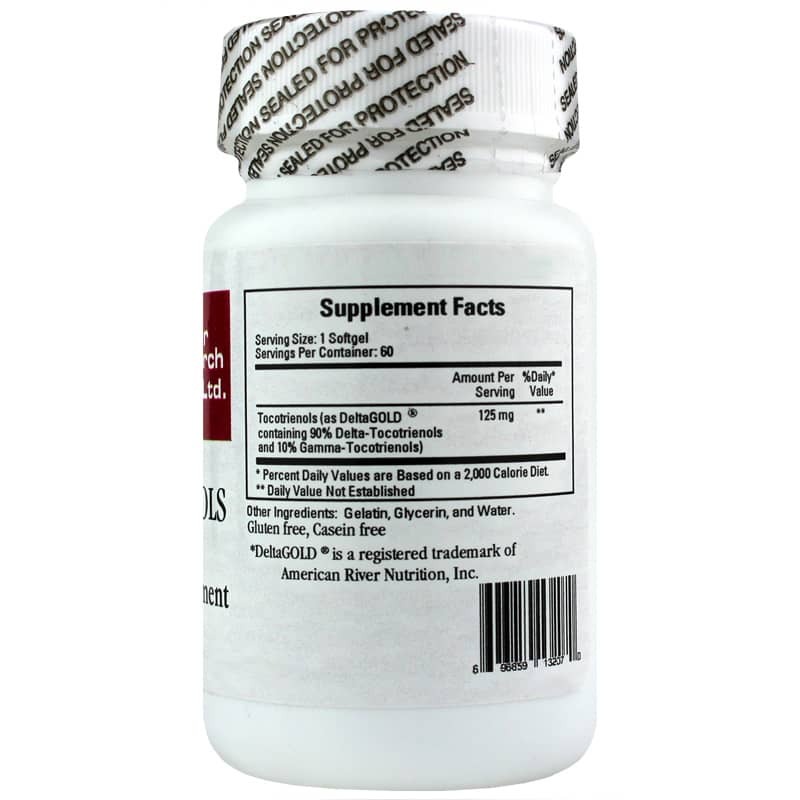 Adults: As a dietary supplement, take 1 softgel daily with an evening meal, or as directed by a physician.